For 2019’s NBA All-Star Weekend in Charlotte, the Jordan Brand will be unloading a bevy of intriguing products, ranging from a “Black Cat”-inspired Jordan 6 from Social Status to a special colorway of Russell Westbrook’s court-ready Why Not Zer0.2. 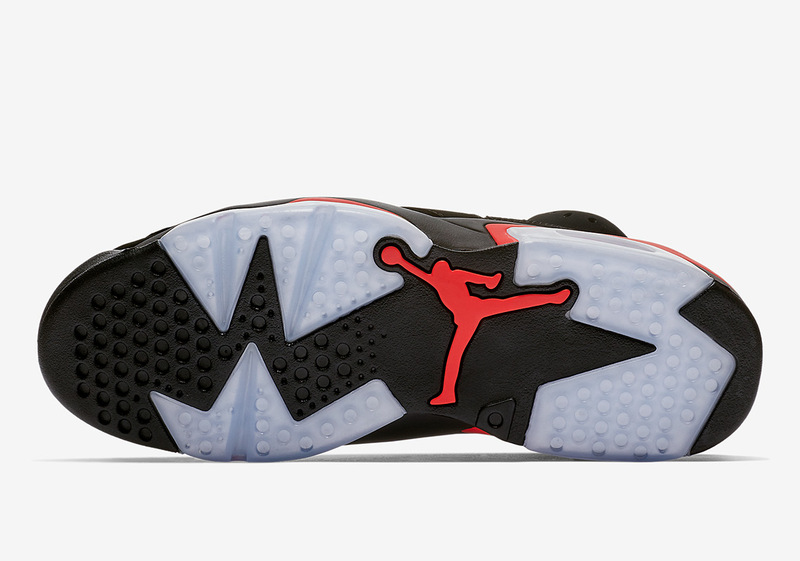 With that being said, the highlight of the Jumpman’s plans for this illustrious weekend is undoubtedly the return of the beloved Air Jordan 6 “Infrared” equipped with its OG “Nike Air” heel hit. Combining a primarily black upper with notes of Infrared on its sole, lace stays, and heel this 1991 original has been a fan-favorite amongst Jordan fanatics for the better part of three decades. 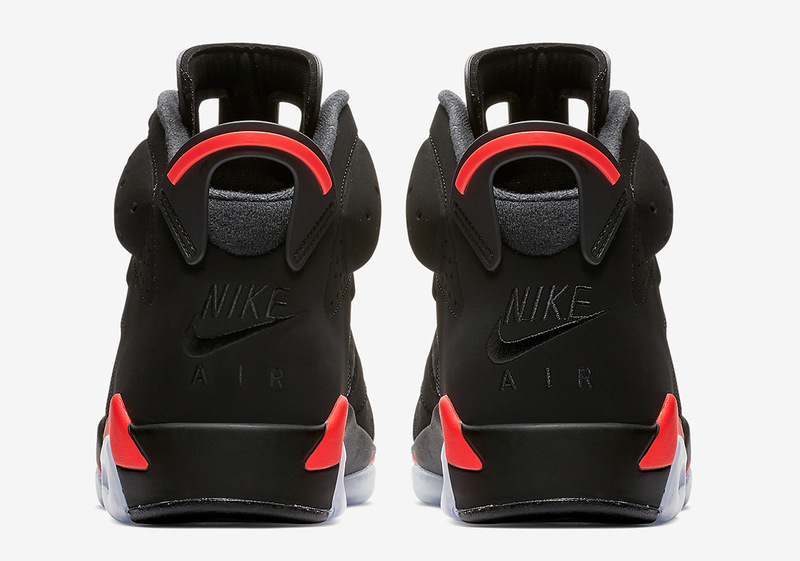 Having been retroed already numerous times in the past, these 6s join a long list of Jumpman drops in recent years that include original Nike Air branding the likes of the Air Jordan 3 “Black/Cement” from 2018 and the upcoming Air Jordan 4 “Bred”. While a few pairs released early via a special Nike SNKRS drop, the rest of the units will hit shelves on February 16th around the globe at the numerous locations you see listed in our where to buy section below. While stock is indeed expected to be bountiful, so is the energy around this heralded release, so study up on the store list below and stay tuned for any last minute updates and the addition of more links as the 16th approaches. 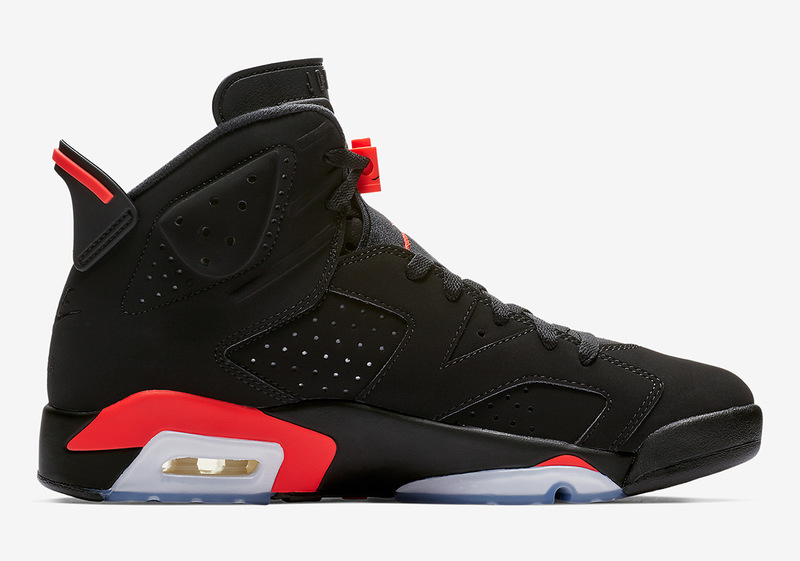 The post Where To Buy The Air Jordan 6 "Infrared"
The post Where To Buy The Air Jordan 6 “Infrared” appeared first on Sneaker News.